Hollywood has been trying to reboot The Crow for years and now, the latest incarnation reported has its star. Mashable reports that Jason Momoa, best known for his roles on Game of Thrones and as DC’s Aquaman, will play the dark hero. The new film, directed by Corin Hardy, will be released by Relativity Media. Momoa posted the below photo of himself and the director on Instagram earlier this week, but Mashable has since confirmed it’s for The Crow. Hardy had previous cast Jack Huston (Boardwalk Empire, Ben-Hur) in the role but he had to drop out due to lots and lots of delays. 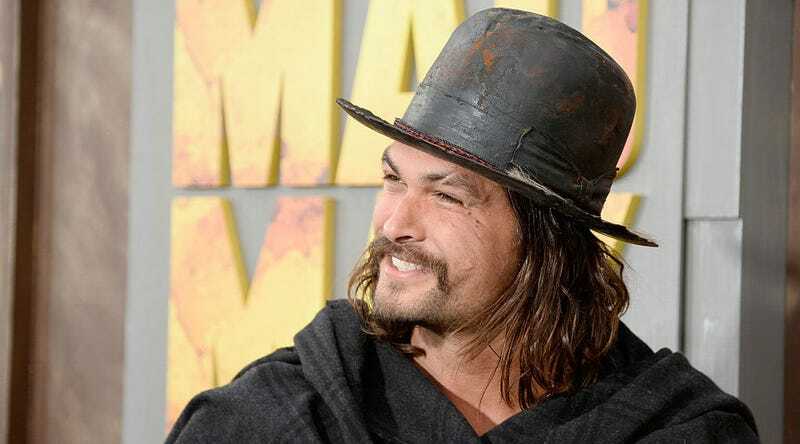 Momoa is certainly a much different take on the character than Huston is, but the biggest challenge will just be getting this one in front of the cameras. It feels like decades have passed since a remake was first announced. The Crow tells the story of a man who is murdered and is brought back to life to avenge his death. It started as a comic book by James O’Barr and was made into a hit film in 1994. That film has multiple, lesser sequels before reboot talks began.